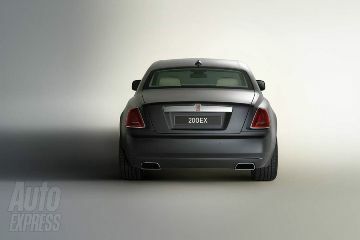 Making its world debut at the Geneva Motor Show next week, say hello to the new baby out of Rolls-Royce dubbed the 200EX. A smaller, more compact version of the Phantom due to go on sale next year, and with a price tag of a cool £180,000 it should be directly taking on the likes, of the Mercedes’ S-Class and the Bentley Continental Flying Spur. 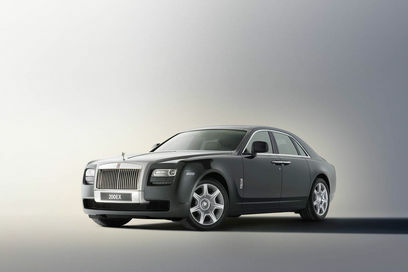 Now being owned by BMW, the engine is developed from the Phantom’s BMW-sourced V12 engine, the but at 6 litres and is expected to produce around 450bhp and 600Nm of torque. But weighing in at over 2 tonnes (!! ), a 0-60mph time of around six seconds and a top speed of 150mph. Inside, everything is as you would expect from a Rolls, contemporary yet luxurious with the finest leather and wood veneers available to man. The dashboard has been simplified and a roller-ball device similar to BMW’s iDrive is used. Thanks to AE for pics.